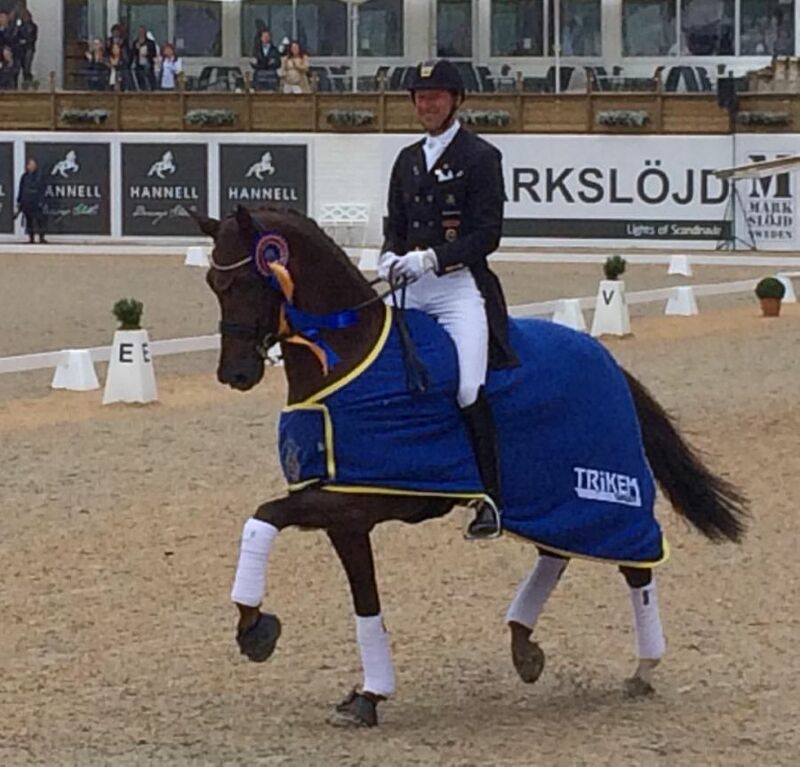 What a way to finish the competition, with Evander producing a super test to finish on top with a very good round. This horse has it all and then some!. Thanks to owners Bob Price and Sarah Deihnart for letting me educate such a super talented horse!. Evander finished on a score of 75%, with student Antonia Ramel right behind!. Antonia did yet another super polished and smooth round, with 8's everywhere. I could not be more happy for her as she is a model student - hard working, focused and talented. Antonia has all the makings of a near future Swedish star!